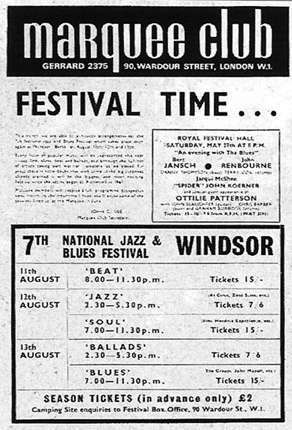 1967 Windsor festival . National Jazz and blues festival. The Seventh National Jazz and Blues Festival. 11th , 12th & 13th August 1967. These pages include the poster, programme details and some press accounts, as well as photos of Arthur Brown ,Fleetwood Mac , Cream and John Mayall and details of Jeff Beck's performance. 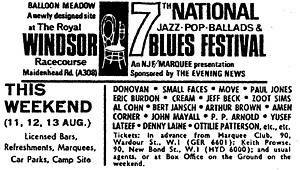 Another change of title, this time the festival was called "The National Jazz , Pop, Ballads and Blues Festival," a bit of a mouthful. It was to continue with this moniker for the next four years. The second and last year at the Windsor site, by this time the facilities were improving , with on-ground toilets, food stalls, medical facilities and camping ground. Held at Balloon Meadow at the Royal Windsor Racecourse, the festival was apparently plagued by PA problems for the entire weekend. Outdoor PA's were in their infancy at the time and WEM ,who provided the PA ,were only using 1000 watts to provide sound for a crowd of 40,000 ( although that number of people would have been spread over three days ) . Even if there were an average of 10, 000 people per show , this level of amplification was woefully inadequate for rock bands .To add insult to injury , there were many technical problems , which often left bands standing around waiting for the PA to be fixed. A host of guitarists like Peter Green , Eric Clapton, Jeff Beck and David O'List , had their sound reduced to a near pathetic level . Peter Greens Fleetwood Mac made an impressive debut , while John Mayall was received with fervent enthusiasm . But Eric Clapton is still 240 miles ahead of the other guitarists in his field . Chicken Shack - featuring Stan Webb, Christine Perfect, Dave Bidwell and Andy Sylvester - made their UK debut with their new line -up at the Festival at Windsor , previously they had been performing a residency at the Star club at Hamburg which must have developed their performing chops to a high degree. There were two stages at Windsor, the main one an open-air ramshackle structure, the other inside a marquee. 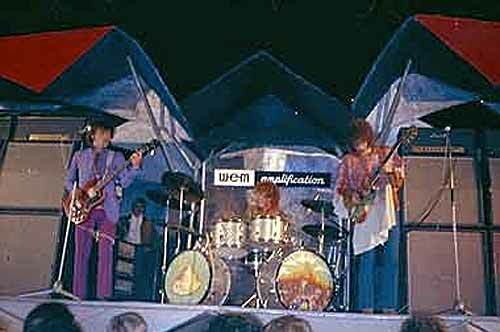 Fleetwood Mac had their initiation on the main stage but much was made of Chicken Shack's tented debut. 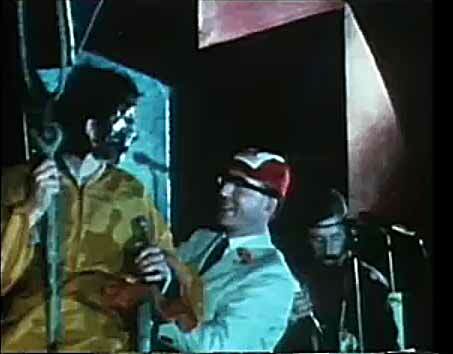 Arthur Brown made his first appearance at the Festival and ( so the story goes ) arrived via a crane which dropped him on-stage , whilst he wore his flaming helmet , singing his anthem song Fire. This apparently brought major cheers from the crowd, but unfortunately, the fire in his headpiece was supposed to have got a bit too hot for comfort and the flames had to be put out before he suffered major burns. Talking of fire, there was a minor incident , where a small section of the crowd set fire to a rubbish tip . When a fire engine came to put it out the firemen were pelted with bottles .Others clashed with security and set upon a 24 Hours TV crew who were "hassling ' them , no doubt in their pursuit of getting hot footage of drug consuming hippies. The new PA caused local residents to make numerous complaints about the noise and thus the system was turned down -which in turn resulted in complaints from both audience and performers . Obviously the location of the site was not ideal, which may have contributed to the move the next year to Sunbury and the Kempton Park Raceway. 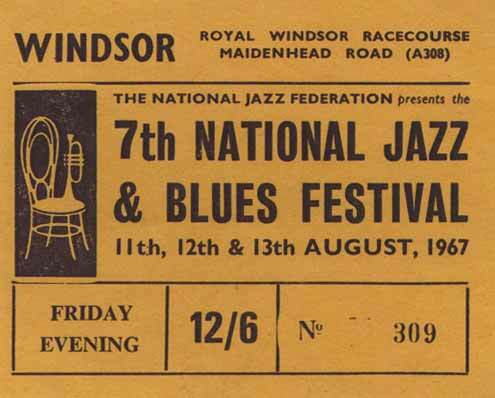 NJABF Windsor 1967 on the last day. 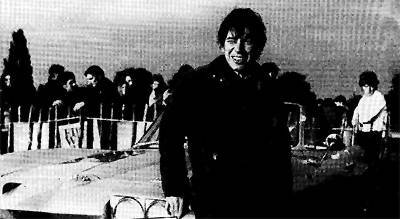 I was 17 and could best be described as a mod. I remember seeing my first hippies at the station in London - there simply weren't any in my home town , Bedford. I remember seeing crowds of bizarrely dressed people walking through Windsor with the castle in the background, and then at the Festival site I smelt my first joss sticks (and no doubt grass, but I didn't recognise the smell at the time. I bought a psychedelic poster of the Crazy World of Arthur Brown which included an image of Mickey Mouse injecting himself with a needle, I believe. When I got home I pinned it to the outside of my bedroom door to anounce my return to my parents. I was going to stay on the camp site, but I figured the sound of bells would keep me awake all night so I got a lift back with someone I knew. 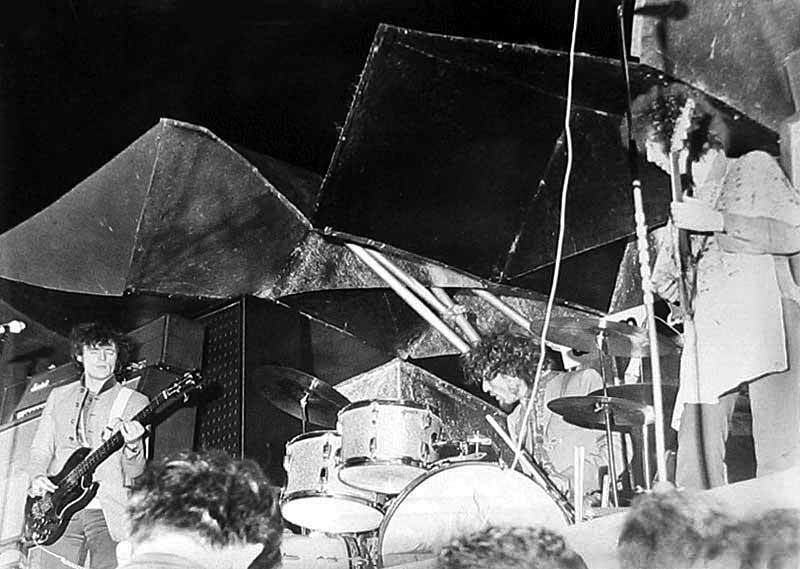 I went because The Cream were playing and had been a huge fan since seeing one of their first gigs at Bedford Corn Exchange - they played to a couple of hundred people and I was in the front row about 5 yards from Clapton. Cream were great at Windsor, but the real discovery for me was The Nice. As well as backing PP Arnold they played a set of their own (I am pretty sure it was in the Marquee before the Arnold performance). It blew me away and I caught their gigs whenever I could after that. "Donovan was the ideal choice for the Sunday people. As Stevie Winwood, Eric Clapton and Andrew Oldham watched, he trilled songs for the flower generation, ditties about love, magpies, ravens, the beauty of September, the magic of Camelot. Without his usual beads, he confessed: "I'm not really flower power ? I live in Hatfield with my father." Nearby, Winwood explained that he'd employed workmen to build a stage at his country cottage but they'd disappeared." As I understood it the 'problems' with the WEM sound system were caused not so much by technical deficiencies but by the council imposing a decibel limit on the system that caused it to cut out at 'high' volume. John Mayall (was) stopped playing at least twice and if the lead guitars could not be heard Mick Taylor would have been only grateful! I seemed to hear all of the guitarists OK, especially the feedback at the end of Steppin Out - it was the loudest musical sound I had heard! Much louder than when Mayall was playing (which could point back to technical difficulties). As I think back I remember Pentangle having problems - no megawatts from them! Of course these may have been paranoid rumours but I think I remember reading something of the sort before the festival was allowed to go ahead. I heard there were complaints from Eton (across the river) about the noise and this contributed to the system cutting out. The local newspapers the following week did report on the complaints. The sound system in '67 was crap but in those days you tended to get used to it. It was only really later that the megawatt systems like Pink Floyd and the Who really gave you quality at a distance. 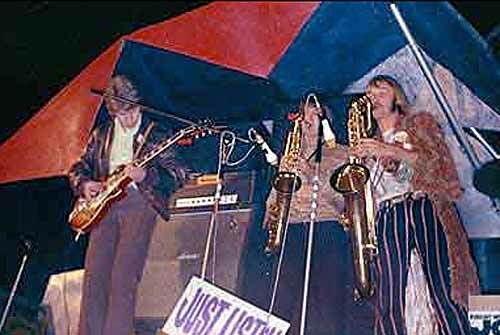 Cream - announcing that they had been asked by 'local residents' (the queen and the Lord Mayor ?!) to turn it down a bit ,promptly turned it up by quite a lot! A brilliant introduction to what was to come and some lessons learnt.Belated thanks to all. Programme text and photographs Pt 1. Programme text and photographs Pt 2. 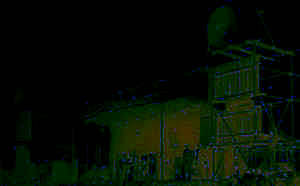 The 1000 watt W.E.M sound system.